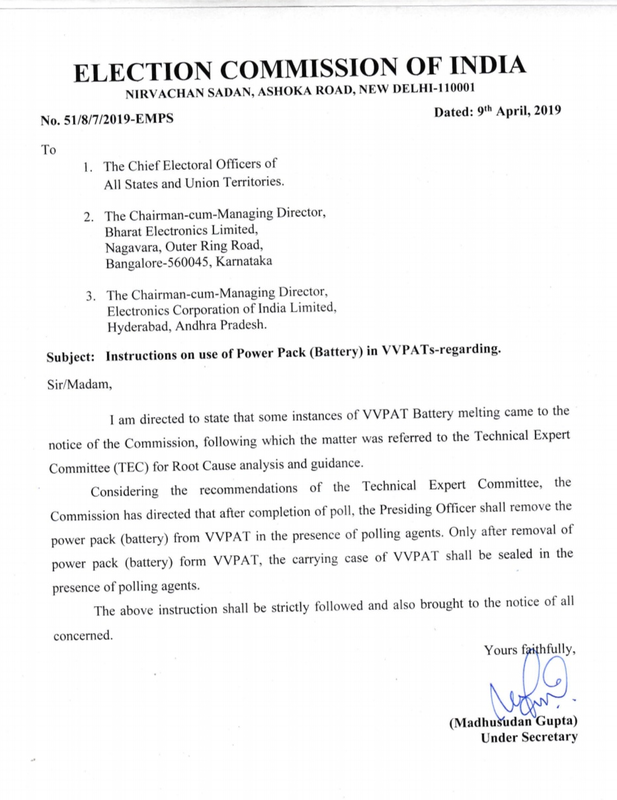 Thanks for reading Instructions to use of battery pack in VVPAT in lokhsabha elections 2019. Please share...! 0 Comment for "Instructions to use of battery pack in VVPAT in lokhsabha elections 2019"